Visit these spots to see flowers in all their glory, including beautiful but deadly plants, a tunnel and bridge of colour and blooms in rare places. The San Francisco Conservatory of Flowers is home to more than 2,000 varieties of plants. In the East Wing are the aquatic plants, including giant Amazon Lilies. This is the place to see unusual and lovely flowers rarely seen elsewhere. 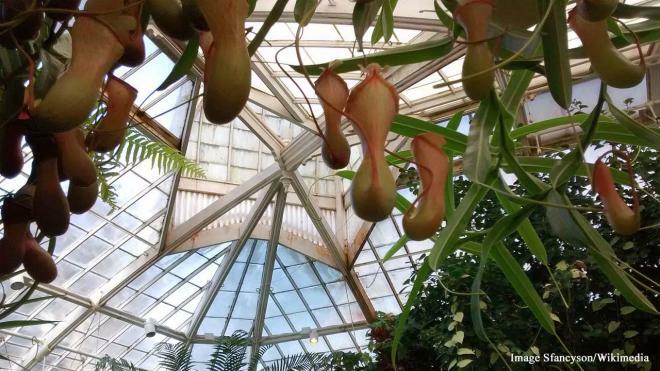 Overhead in the conservatory can be seen the beautiful but deadly Nepenthes pitcher plants (like that pictured) which lure insects through a flower-like opening at the top of the flower, then dissolve them in digestive enzymes. This out of the way glacial island is located off Cape Morris Jessup in Greenland. 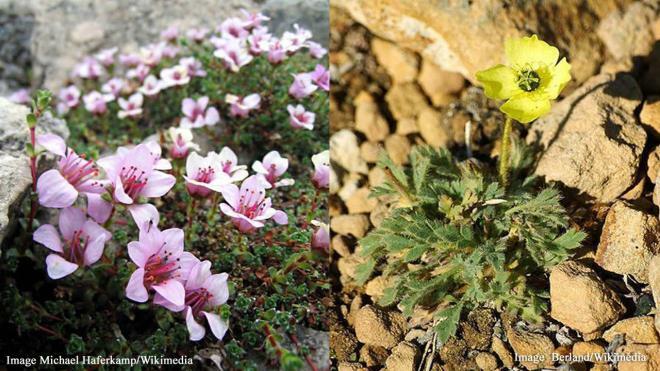 Here two types of flowering plants manage to bloom in summer, despite the island’s closeness to the arctic pole. The Purple Saxifrage and the Arctic Poppy bravely bloom during the 30-day summers the island has and for a little while each year, the island is a place of beauty, quite unlike its normal rugged, dry and rocky conditions.